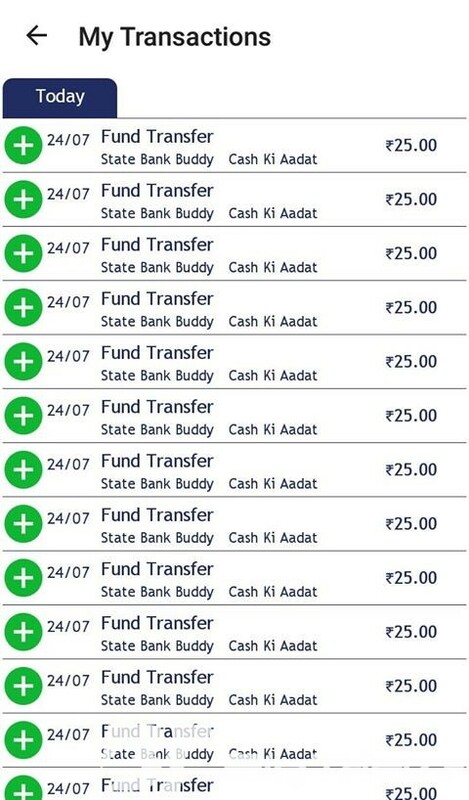 StateBank buddy App Refer And Earn: –Statebank buddy app Is come up with a new Refer and Earn Program In This offer SBI buddy App is Offering Rs.25 For Signing up And Rs.25 For Each Referral.The Earned Amount can directly transfer to Your Bank Account. 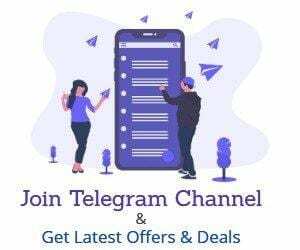 the Referred Amount and Signup Bonus are not credited Instantly it takes two days to get Signup bonus And Referral Earning will be credited on Every Tuesday (Once in A Week). 1.Download State Bank Buddy App From Here. 2.Now install The app And Open this. 3.Go For registration using Your Mobile Number and Email ID. 5.Now Complete the Sign Up Process. 6.After Signing Up You will Receive Rs.25 cash Within 2 Working Days after doing two transactions. 7.Now To get referral Bonus Follow below Steps. 9.Send Rs. 1 Two times to your New wallet or Any of Your friend’s wallet. 10.If You Don’t Have Any Contact then You can send it to 7062797276. To get back Your Money Send a Whatsapp Message to this Number With Screenshot of Send Money. 11.After the First transaction, You Will receive Your reward on Tuesday. 12.You Will Get Rs.25 In both Of Your Account, So grab This loot before it gets Expired. 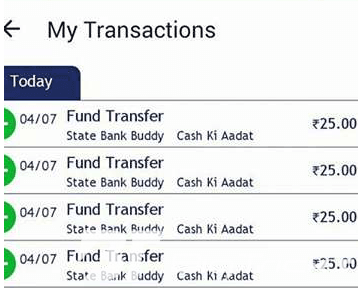 13.You can Transfer The Money into Your Account Directly using IMPS.